One young man wants to MARCH FOR GUNS while most of his classmates are marching for gun control. He was so outnumbered, his classmates took his sign, ripped it up, and laughed at him. No one stood up for his 1st Amendment rights to have a different opinion. A real grassroots effort to Stop Sanctuary Cities. 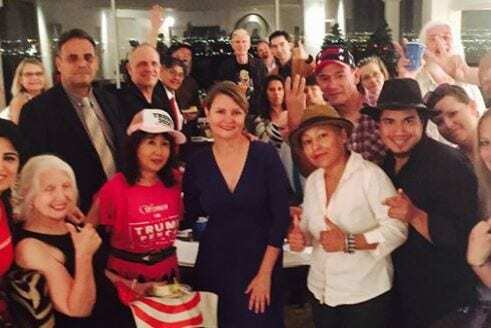 Kimberly Mason, Family America Project, is going to city council meetings across California speaking against SB54, California’s Sanctuary State bill. Impressively, the majority of those speaking against it are LEGAL immigrants who say everyone needs to go thru the process legally. As an American, we have a vested interest in what our neighboring cities and states do because it affects our communities too. SB54 isn’t about immigration, it’s about public safety. It’s about our public officials working within our Federal system of laws.